HVACR is one of the highest fastest growing industries in the country. According to the US Bureau of Labor Statistics, in the next 8 years will have a 15% increase in demand for employees. With the education they will receive from the American College of Healthcare and Technology, they will have all the training and expertise to get a job anywhere in this high demand industry. American College of Healthcare and Technology gives their students the best chance to succeed with some of the best equipment, teachers, and curriculum in Southern California. The instructor describes is class as, not only teaching you about the field but the nuances of the field, experiences, and possibilities that only can be from someone who has experience in the field. After your training is done here at the school, students will take their EPA license tests which students will need to work in the industry. 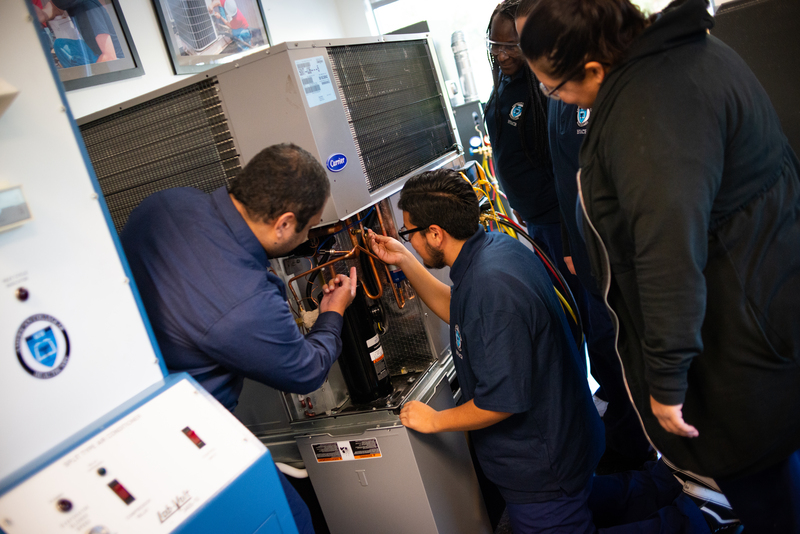 Passing this course will also give students three of four years of training to get fully licensed in HVAC or a refrigeration license as well where students will be fully licensed by the state of California and The Contractors State Licensing Board. All the students will be taught with the latest equipment and techniques. The students will learn the EPA rules not only to pass their license test but also the rules in the field as well. By the end of the course, students will be able to read and use both digital and analog gauges, as well as many other modern techniques used in the HVACR industries.